A large proportion of my life is spent within the walls of the hospitals of North East London. But when I’m not at work, I can often be found in one of London’s fantastic art galleries. Art is essential for my personal wellbeing, and a great way to dissociate myself from the trials and tribulations of being a doctor. But every so often these two worlds collide. A few years ago I went to an exhibition at the Tate Modern on Futurism. It was a fantastic exhibition, highlighting a brief but incredibly influential period of modern art. 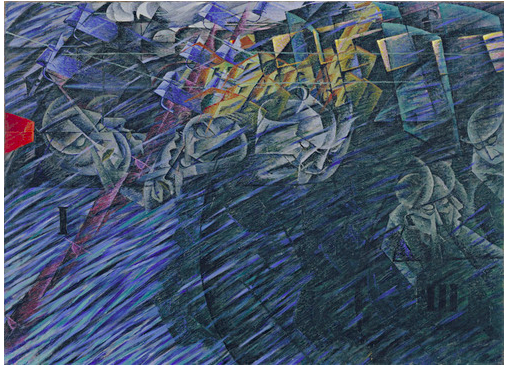 I was profoundly struck by a specific piece: a tryptych by Umberto Boccioni entitled “Farewells; Those who go; Those who stay,” now on view at the Museum of Modern Art in New York. Not only is it beautiful, but the artist effectively captures the emotions inherent in farewells. It has stayed with me ever since. I was reminded of this piece recently after a particularly emotional on call shift.